Everyone's favorite Mega Man title will appear on February 7. Building on its plan to release all six original Mega Man titles on the 3DS eShop, Capcom will release Mega Man 2 on Nintendo's handheld on February 7. If you haven't already played through the original NES releases of Mega Man, this entry is the perfect place to start. While the first Mega Man title was a wee bit rough around the edges - and only featured 6 robot bosses - Mega Man 2 is seen by many as the best title in the series' long and storied history. 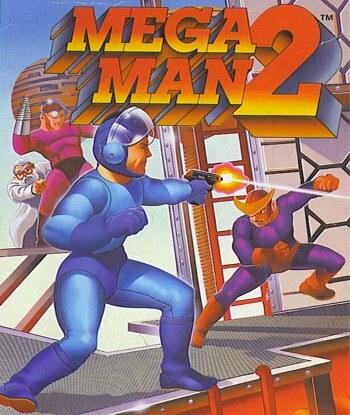 Unlike the later entries, Mega Man 2 features no sliding (introduced in Mega Man 3) and no charge shot (introduced in Mega Man 4). The absence of these arguably undesirable features, combined with some of the best boss characters in the series, has made it a favorite among classic gaming enthusiasts. Like the previous release of the original Mega Man title, the Blue Bomber's second outing will be priced at $4.99 (€4.99). Capcom plans to release the remaining four classic Mega Man titles throughout the rest of the year.